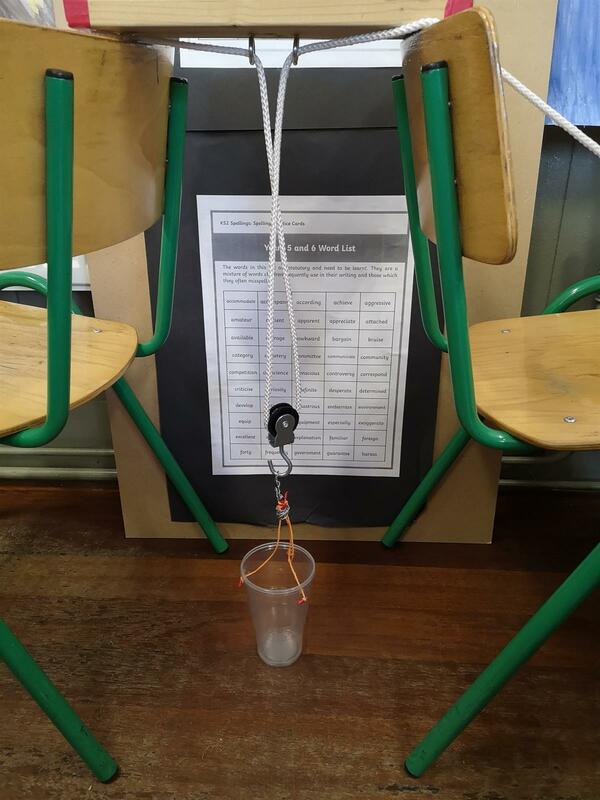 Pulley Prototypes | St Brigid's Boys' N.S. The boys in 6th Class were tasked with building pulleys last week. A pulley is a simple machine that makes lifting objects easier. The boys had to assemble their pulleys using materials from home and their effectiveness was measured using weights borrowed from the Maths room. Some of the pulleys were so well built and designed they were able to lift weights of several kilograms. The boys learned that certain pulleys can give the user a mechanical advantage, meaning the input force is less than the mass of the object being lifted. This can be calculated using a spring scale and is measured in Newtons, named after our friend Isaac Newton, who featured in our initial lessons on forces.